A cooling tower is built to cool down cooling water using the atmosphere. The cooling tower enlarge the surface of the water. 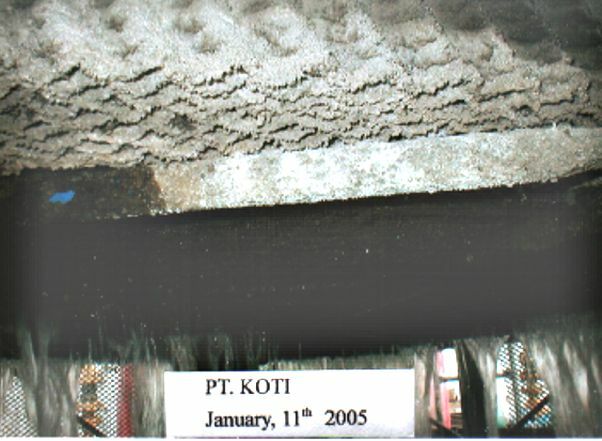 The actual cooling is done by the so called evaporation cooling. 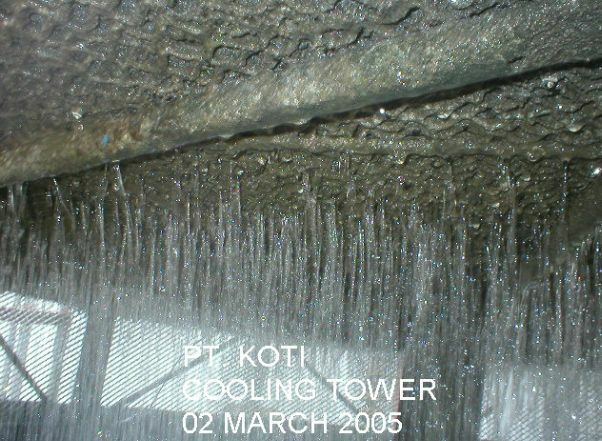 An open cooling tower is part of an open cooling water system. The warm cooling water is coming back from the consumer equipment. These are heat exchangers, jackets in tanks or engine cooling systems. The tower water is pumped through a raiser into the upper part of the tower. 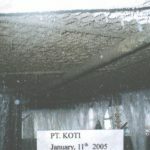 As seen on the photo to the left. 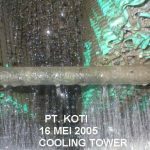 The water flows to the bottom in the sump of the cooling tower and is pumped back into the cooling system. 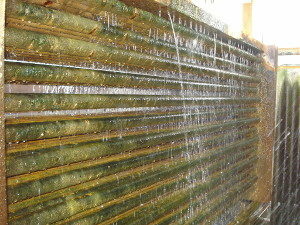 In this process a part of the water evaporates which cools down the water. 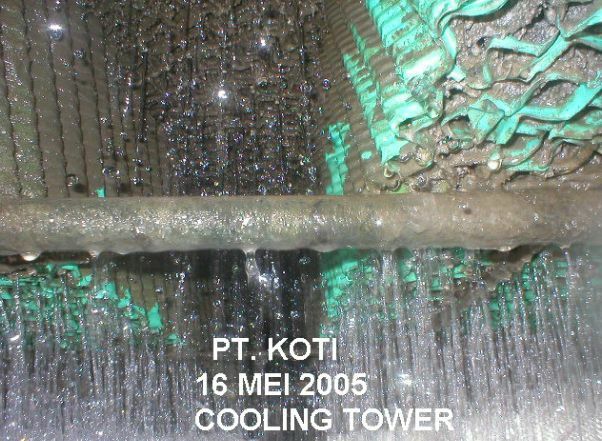 There all kind of tools used to improve the efficiency of the cooling tower. They use all kind of equipment like fans, baffle plates or guide plates inside the cooling tower. All to increase the heat transfer in between the cooling tower water and the atmosphere. Today it is common practice to have cooling tower water treatment. 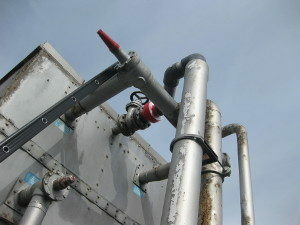 This treatment is not only for the cooling tower, but for the loop and the connected equipmnet consuming the water. The classical way for water treatment are chemicals. Biocide to fight algae, legionella and bacteria, corrosion inhibitors to prevent or fight corrosion or chemiclas against scaling. Despite all the classical chemical water treatment, a lot of our customer face limescale, rust, algae or legionella in their cooling water. In addition to the water treatment of industrial heat exchangers, cooling towers and the associated loops are our most important applications. The success of the installation is independent of the size or number of cooling towers. We have achieved excellent results in small, medium and large cooling systems. Even if several large cooling towers are connected in one loop our technology works safely and reliably. We install Merus Rings to prevent algae growth, corrosion and scaling. 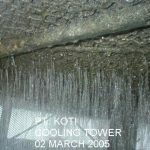 Especially in warmer areas of the world you have to react fast to prevent biofouling in the whole system – starting with algae in one spot in the cooling tower. Often the Merus Rings are the only water treatment needed even in big, complex cooling systems and the connected heat exchangers. On big systems, doing only cooling tower water treatment is not enough. Merus has to install rings at several positions in such a system. The consumption of cooling water is affected by three major factors: evaporation, quality of the feeding water and frequency of blow-downs. With the Merus Ring we have influence on the third factor. 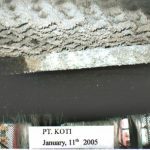 As the solubility of salts (also limescale) in the water is increased, more salt is solved in the water, instead of settling in the pipe. 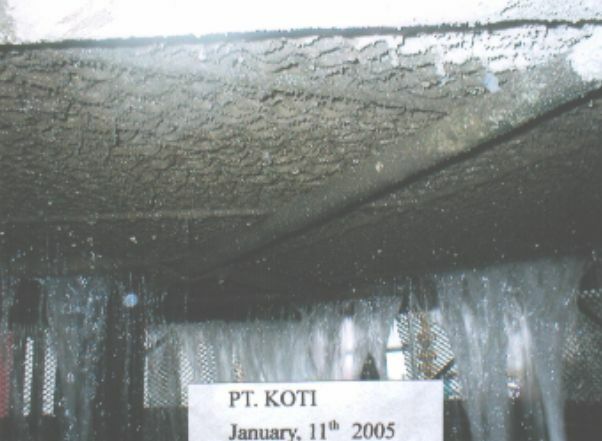 Therefore the cooling system can work with a higher concentration of salt in the water. There are less blow-downs necessary and water is saved. Up to 25% less feed water is needed, depending on the quality of the feed water. To describe this more technical we can increase the COC in the cooling system using Merus Ring.